Congratulations to AMY, our CUSTOMER OF THE WEEK! AMY chose these incredible ORANGE Anne et Valentin frames and ***wow*** do they look great on her! The orange frames make her eyes POP and SPARKLE. 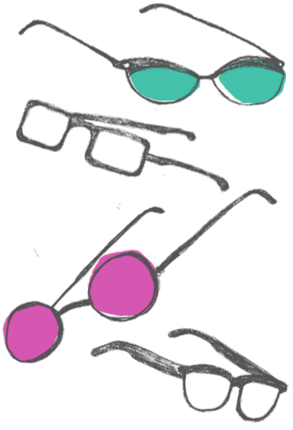 At Eye Spy, we love Anne et Valentin frames because their funky styles and interesting angles are so fun and bright. Especially these orange Anne et Valentin frames, they make Amy’s face light up! Orange you glad we have orange Anne et Valentin glasses?! Congratulations Amy, 1) on your awesome new Anne et Valentin frames and 2) for being our CUSTOMER OF THE WEEK!